The Sunliners of VFA-81 were originally commissioned as Attack Squadron SIXTY SIX (VA-66) on 1 July 1955. 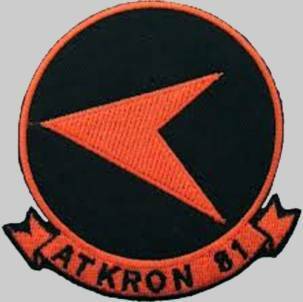 On the same day, they were redesignated Fighter Squadron 81 (VF-81), an all weather fighter interceptor squadron flying the Grumman F9F-8B Cougar. Their first deployment was with CVG-17 in late 1956 aboard the USS Franklin D. Roosevelt in response to the Suez Crisis. 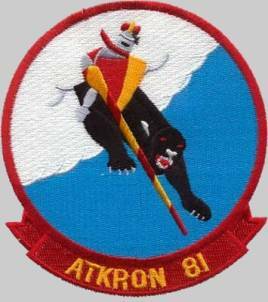 In 1958 VF-81 made a deployment as part of Air Task Group 181 (ATG-181) aboard USS Lake Champlain to the Mediterranean Sea. 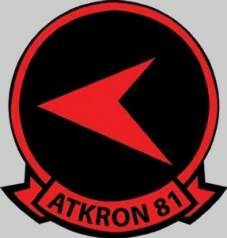 In the next year VF-81 went to sea with ATG-182 to the North Atlantic aboard USS Intrepid. 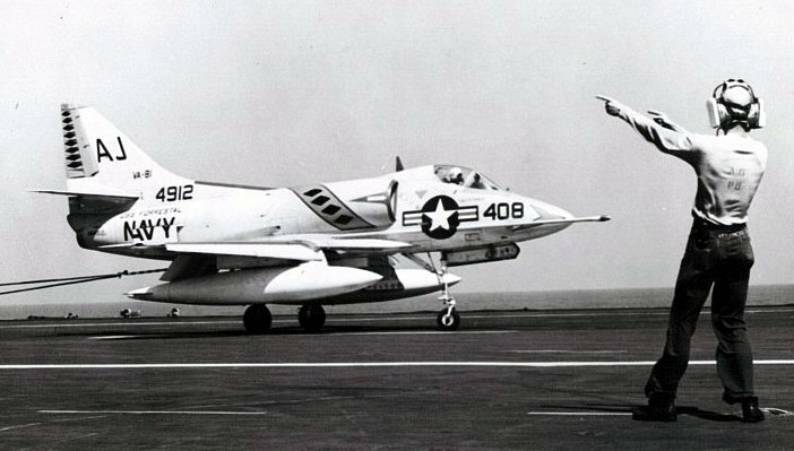 On 04 Mar 1959 VF-81 was reequipped with the Douglas A4D-2 Skyhawk and redesignated attack squadron VA-81 on 1 July 1959. 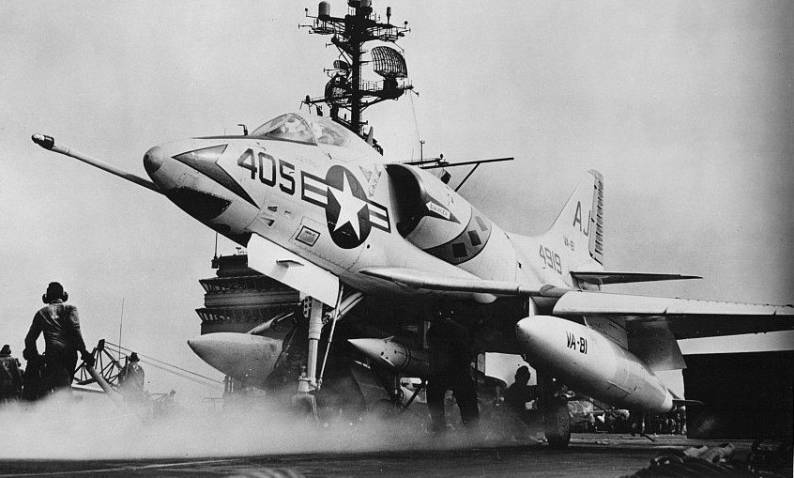 VA-81 was assigned to CVG-8 and made five deployments to the Mediterranean Sea aboard the aircraft carrier USS Forrestal between 1960 and 1966. 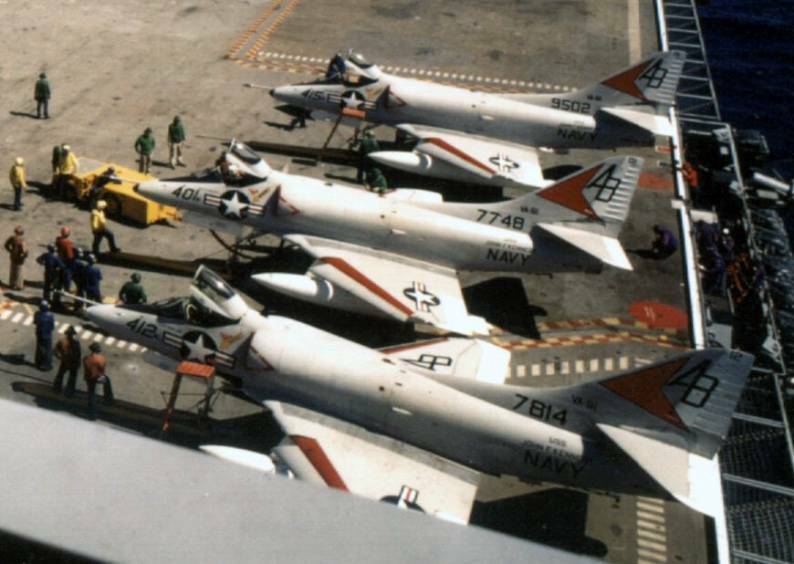 From October 1961 to February 1962, a detachment of VA-81 Skyhawks deployed to the North Atlantic embarked in USS Essex. The detachment was provided air cover for antisubmarine units embarked in Essex with their AIM-9 Sidewinder missiles. The detachment was the first jet unit to function as part of an antisubmarine killer force. 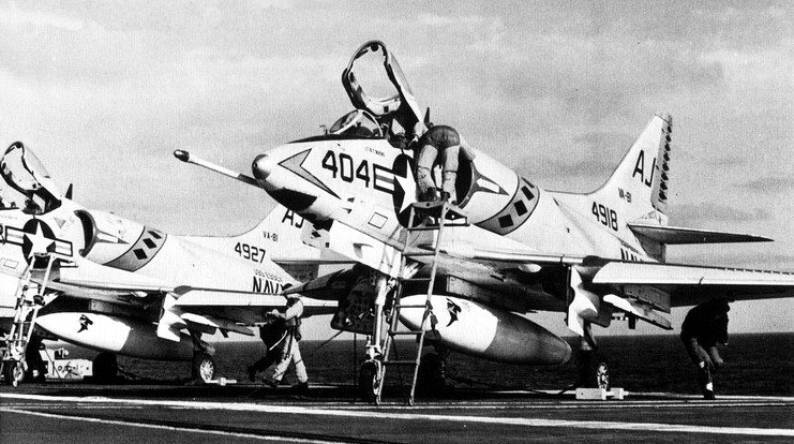 In April 1963 the squadron transitioned from the A-4B (A4D-2) to the A-4C Skyhawk. 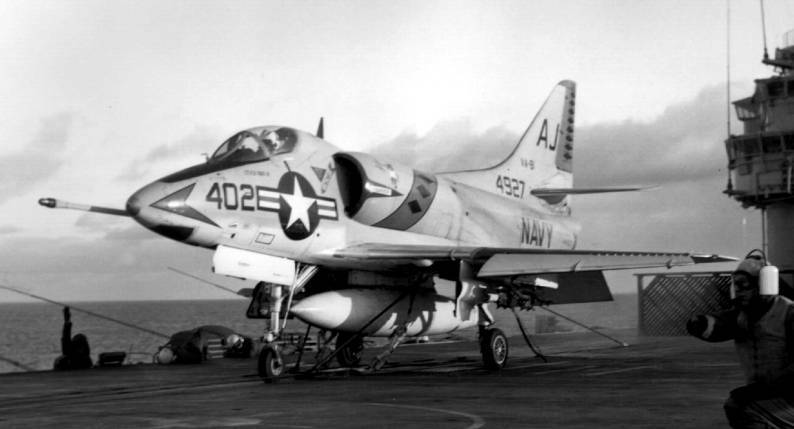 In 1966 and 1967, VA-81 was deployed with CVG-8 to the Mediterranean, this time aboard USS Shangri-La. 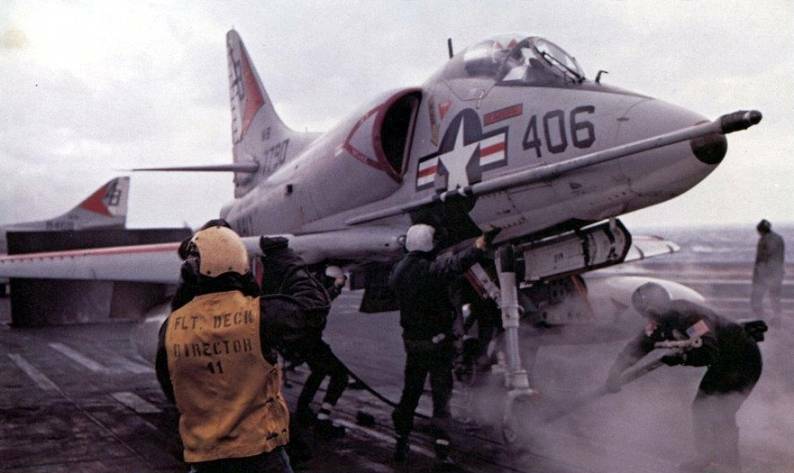 For the 1967/68 deployment aboard the same carrier, VA-81 flew the A-4C. 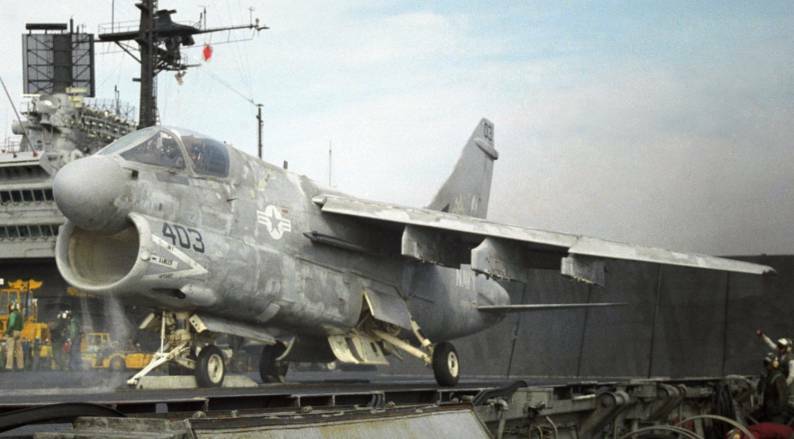 In 1969 VA-81 A-4Cs made a single deployment to the Med aboard the USS John F. Kennedy as part of CVW-1, operating for a time off the coast of Libya following a coup that overthrew the Libyan monarchy on 1 September 1969. 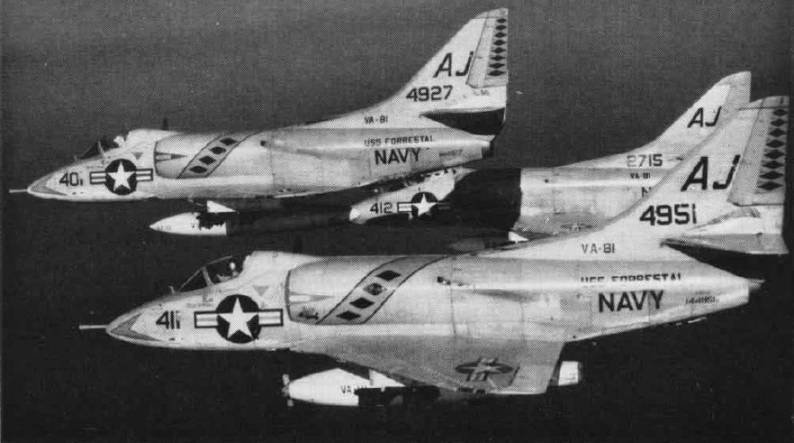 In February 1970, the Sunliners won the Navy Battle "E" for East Coast A-4 squadrons. 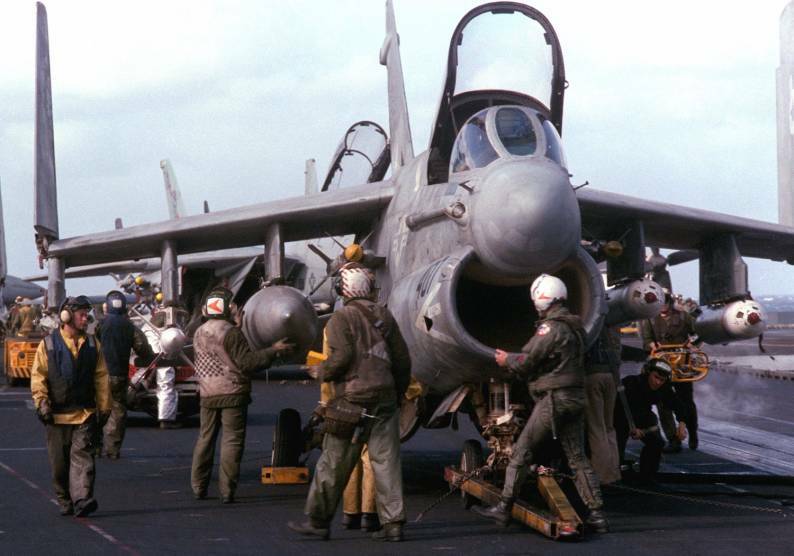 In May 1970, VA-81 transitioned to the Vought A-7E Corsair II and was reassigned to CVW-17. Between 1971 and 1982 VA-81 made eight deployments to the 6th Fleet aboard USS Forrestal. In Dec 1972, squadron’s A-7Es conducted cross-deck operations with the British carrier HMS Ark Royal. 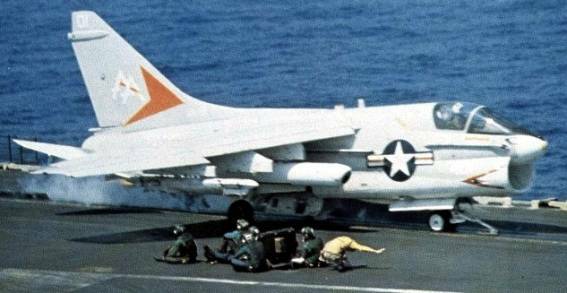 From July to August 1974, VA-81 operated from USS Forrestal in the vicinity of Cyprus following a coup in that country and its invasion by Turkish forces. Surveillance and cover missions were flown by the squadron during the crisis. 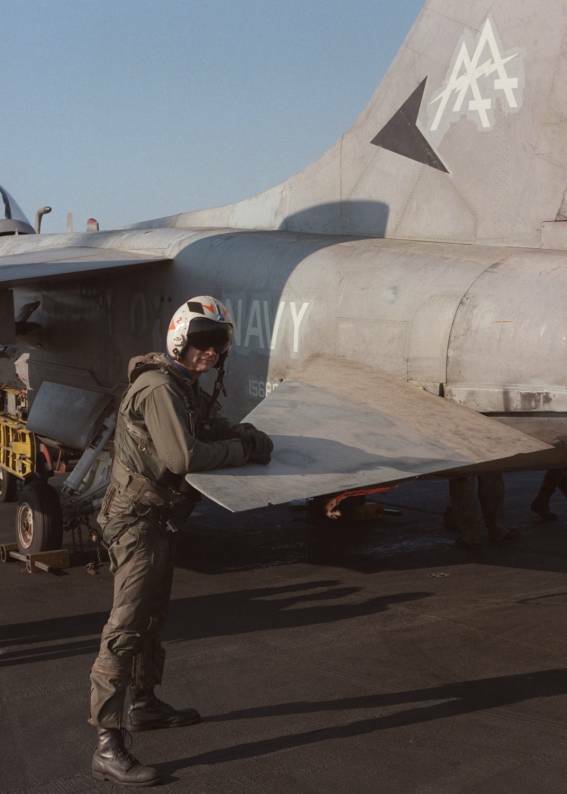 VA-81 embarked in Forrestal from May to June 1981, operating in the eastern Mediterranean following Israeli reprisal raids against Syrian missile batteries located in southern Lebanon. In August 1981, the squadron participated a Freedom of Navigation Exercise in the Gulf of Sidra. During this exercise on August 18, two F-14 Tomcats from USS Nimitz (CVN-68) shot down two Libyan SU-22 Fitters. Tensions escalated, and VA-81 flew reconnaissance missions over potentially hostile Libyan ships. Between 1984 and 1987 VA-81 made three deployments with the Saratoga. On March 23, 1986, while operating off coast of Libya, aircraft from Saratoga, USS Coral Sea, and USS America crossed what Libyan leader Muammar al-Gaddafi had called the "Line of Death." The next day, three U.S. Navy warships crossed the same 32° 30' North latitude line. Two hours later, Libyan forces fired SA-5 Gammon surface-to-air missiles from the coastal town of Surt. The missiles missed their F-14 Tomcat targets and fell harmlessly into the water. Later that afternoon, U.S. aircraft turned back two Libyan MiG-25 fighter planes over the disputed Gulf of Sidra. 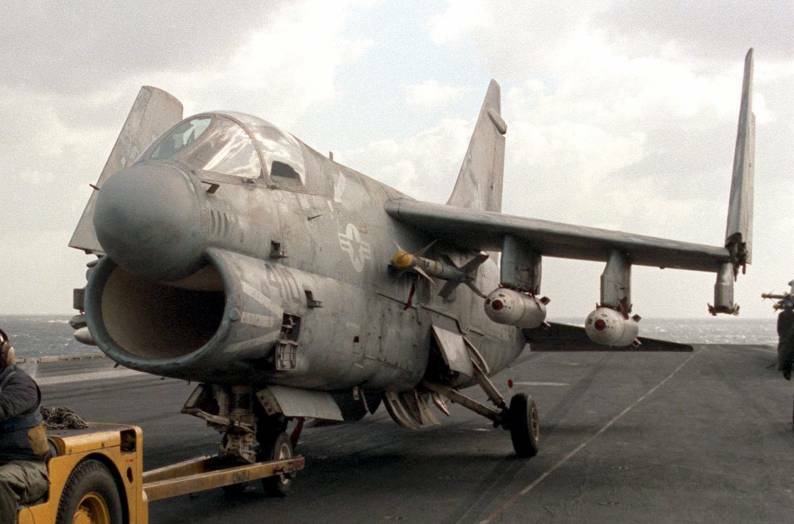 In response a Grumman A-6E Intruder attacked a Libyan missile patrol boat operating on the "Line of Death." Later that night, VA-81 aircraft acted as the decoy group for VA-83’s HARM strike against the Libyan missile radar site at Surt. At the conclusion, three Libyan patrol boats and a radar site were destroyed by Navy aircraft. On February 4, 1988, VA-81 transitioned to the McDonnell Douglas F/A-18C Hornet and was redesignated Strike Fighter Squadron 81 (VFA-81).